Tiered cascading fringe adds swing to tall suede boot. Concealed wedge heel, 3. 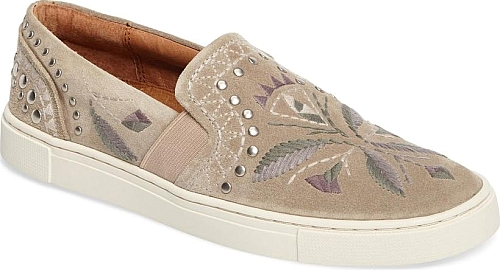 Floral embroidery and flat disc studs embellish a slip-on sneaker made with a well-cushioned footbed that offers springy arch support. 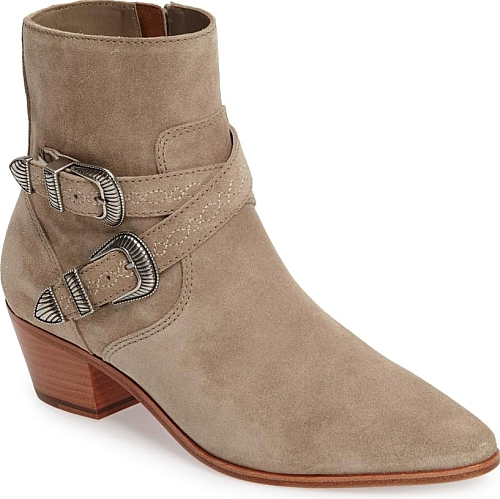 Small details are making a huge impression this season, and Frye wraps this Western-inspired bootie in texturally embroidered cross straps finished with concho buckle hardware. Italian calfskin provides the foundation while a pointy toe and a tapered block heel finish the silhouette. A pointy-toe silhouette enhances the sleek, streamlined profile of a tall boot elevated by a slim stiletto heel.